MQT Global > Blog > Recent > How MQT Global helps convert Cellntell’s existing sales into online sales! How MQT Global helps convert Cellntell’s existing sales into online sales! CellNTell has opened great and exciting venues for the mobile world in the past decades. 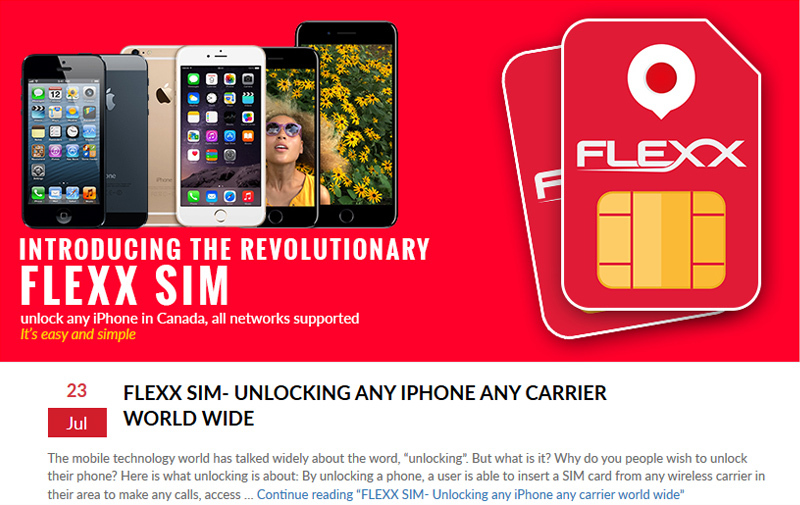 It is a name that has amassed reputation and trust among the masses in the provision of the largest variety of cell phones, mobile accessories, spare parts, repair and unlocking services and much more. MQT Global has proved its excellence as a digital marketing agency that has helped notable business organizations like CellNTell expand and attain a powerful digital presence. By devoting great expertise, innovative solutions, technological knowledge with diligence, MQT Global has facilitated many businesses attain their organizational goals. It has teamed with their clients to help eradicate technological barriers and harness the power of the internet in converting existing sales into online sales. With the changing technological trends and times, trying to market your products and boost it sales is a challenging milestone to achieve. MQT Global specializes in helping business attain an acclaimed and recognized digital footprint on the Internet. The experts at MQT Global worked with CellNTell in furnishing and creating its digital footprint by devising its digital marketing and social media strategy. MQT Global assisted CellNTell in promoting its products and services on social media platforms and helped attract potential customers. The tech experts at MQT Global created a clear and powerful online customer stance for CellNTell and helped strengthen their customer base. They have a played gigantic role in driving new customers towards CellNTell and providing good initiatives to existing customers to stay engaged. MQT employed effective eCommerce tools and strategies that urged the audience to use and browsce the products and services CellNTell had to offer to them. 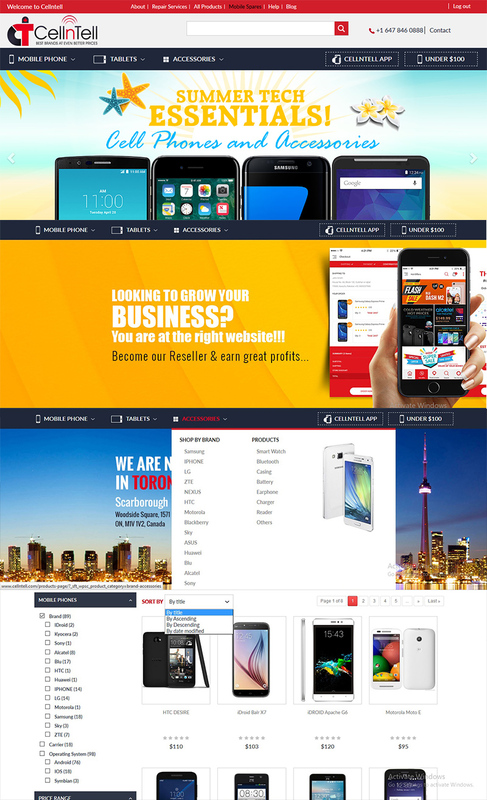 It has also redesigned and optimized the CellNTell’s website, furnishing it with a more user friendly Interface. Regular updates of the products and increase in the mobile and accessories provided customers with a choice to purchase from a wide variety of products. 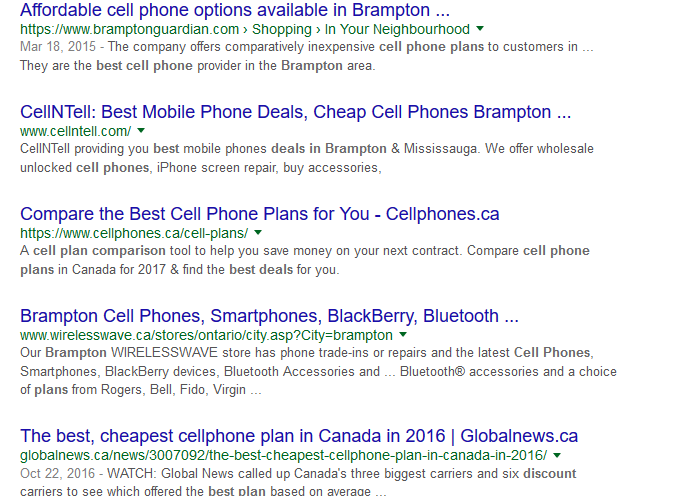 The CellNTell’s website was added different Tabs, links and search bars where users surfing the website could filter their search and immediately get access to what they were actually looking for on a cell phone website. Featuring different tabs for “Mobile”, “Accessories”, “IOS”, “Android”, “Under $100” and “Price wise”, greatly improved the user’s experience. Especially the price range filters helped customer view the products they really wanted and helped save their time. That is not all; all products were given complete distinctive image, product description and technical specifications to further assist their experience. 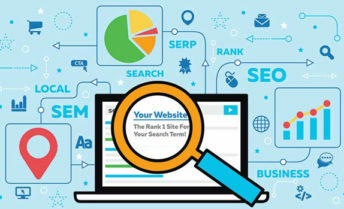 The technical team at MQT sorted the keywords for CellNTell’s website content that related to their products, service and locations to give it better exposure on the web. Today, CellNTell has attained the top 10 ranking in famous search engines like Google and appears on the first search page. 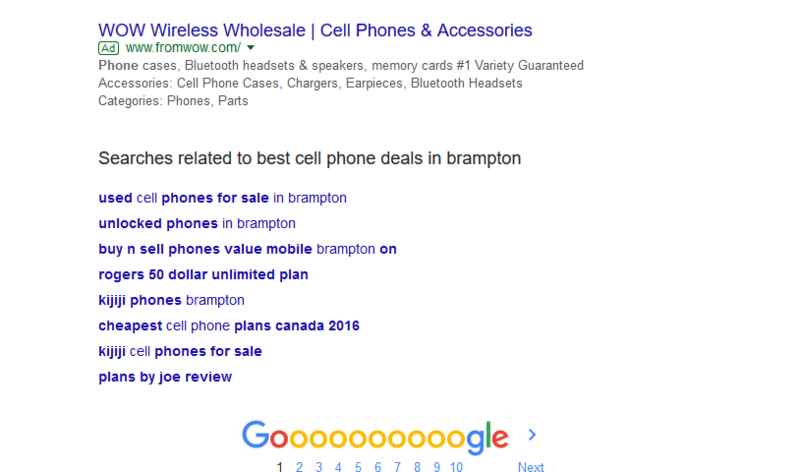 Due to this digital exposure and effective marketing, CellNTell has now branched from being a single store to Six stores in locations in Brampton, Scarborough, Toronto and Mississauga. It has also just recently acquired a huge Warehouse in 401 BLVD. E Mississauga. MQT Global also helps manage social media platforms for clients. This includes, generating, eye catchy creative posts and CTA’s, the core focus is on building, brand awareness. Currently MQT Global is managing CellNTell’s social on Facebook, Twitter, LinkedIn, Instagram and Google plus. MQT Global also developed an exclusive B2B App for CellNTell reseller as a part of its expansion plan. The App is now live both on Android and IOS platforms. The objective is to develop a dealer network and to offer exclusive prices of its product and service along with Discounts, Coupons, Redemption points and much more. Furthermore, a RMA (Retun Merchandise Authorization) a built-in tools in Mobile App was also optimized for CellNTell. This was aimed to help the dealers register their faulty devices which are under warranty. MQT Global diligently aimed its marketing and advertising prowess at the wholesale market, through SEM. And the result? 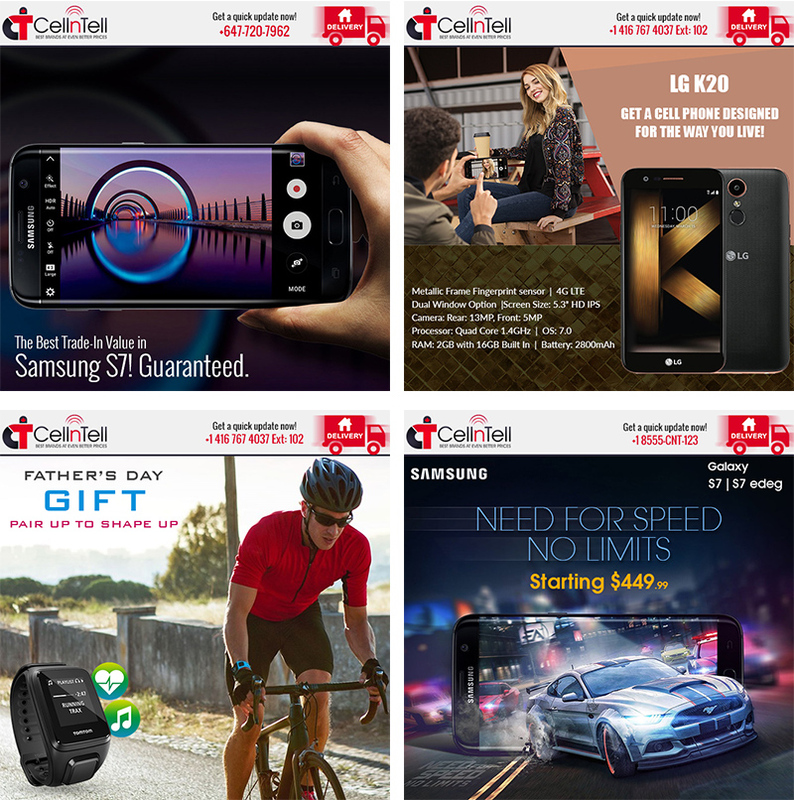 Cellntell is now one of the biggest wholesales in Canada. To further facilitate CellNTell in its expansion, it has setup a call center (inbound/outbound) to facilitate the dealers and their daily operations around Canada. 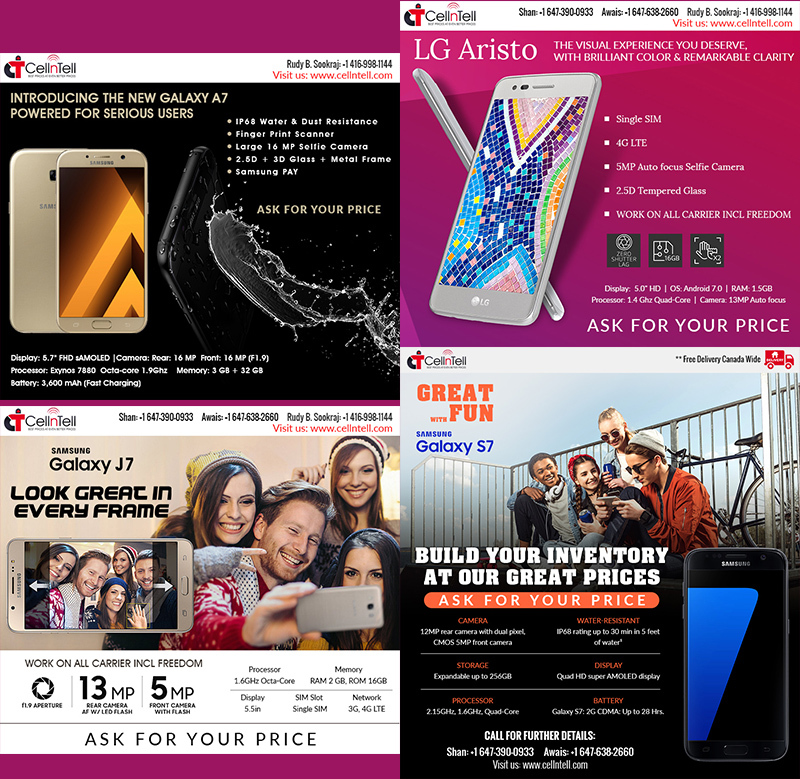 MQT Global also generated excellent blogs and promotional email newsletter through which the CellNTell customers get latest deals and discounts about the latest wholesales pricing of Mobiles, Accessories and much more. With the continued support, optimization and strategic changes provided by MQT Global, CellNTell now aims to expand and further increase its digital footprint. MQT Global now aims to successfully develop individual websites for CellNTell services Sign up with MQT Global today to stay par with the evolving social media, digital marketing and more.